MLB is a professional baseball organization and the oldest of the four major professional sports leagues in the United States and Canada. It is comprised of 30 teams. 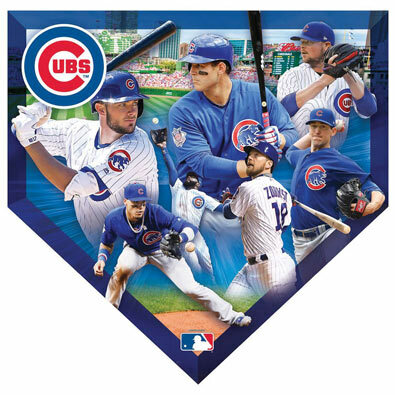 These home plate shaped jigsaws of MLB teams are perfect for any baseball fanatic and feature five special baseball related shaped pieces for added fun. See our order form for puzzle glue to preserve your creation and display your team pride. Each 500 piece puzzle measures 25" x 22".